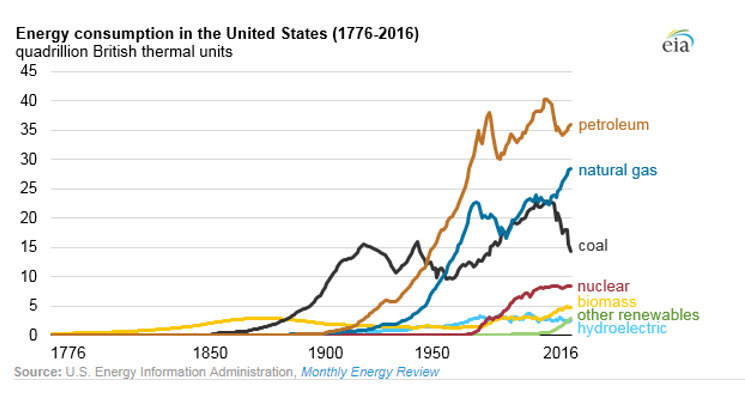 Editor’s Note: Renewable energy has demonstrated impressive growth in recent years; however, renewables still have a long way to grow before they can rival fossil fuels. Renewable energy providing electricity is still unreliable – since weather is unpredictable, fossil fuels must continue providing baseload energy. In electricity, the key barrier to renewable growth is improving energy storage methods so energy created by the sun can be stored during the day and released at night. For fuels, renewable sources still suffer from quality control concerns. While products like renewable diesel are a drop-in replacement for petroleum products, products like ethanol and biodiesel both suffer from lower energy content and fuel quality concerns. For renewables, more work must be done to address reliability and quality before renewables can truly compete with fossil fuels.